Carbon dioxide (CO2) and other greenhouse gases in the atmosphere can be reduced in two ways — by cutting our emissions, or by removing it from the atmosphere, for example through plants, the ocean, and soil. In December 2015 in Paris, leaders committed to achieve global, net decarbonization of human activities before 2100. This achievement would halt and even reverse anthropogenic climate change through the net removal of carbon from the atmosphere. However, the Paris documents contain few specific prescriptions for emissions mitigation, leaving the timing and details of these efforts to individual countries. In a new study in the journal Nature Communications researchers project energy and land use emissions mitigation pathways through 2100, subject to best-available parameterization of carbon-climate feedbacks and interdependencies. Researchers used a global model of the carbon system that accounts for carbon release and uptake through both natural and anthropogenic activities. 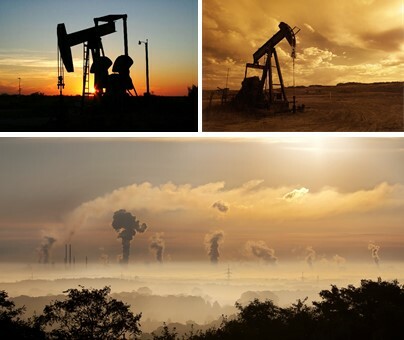 “The study shows that the combined energy and land-use system should deliver zero net anthropogenic emissions well before 2040 in order to assure the attainability of a 1.5°C target by 2100,” says IIASA Ecosystems Services and Management Program Director Michael Obersteiner. “Fossil fuel consumption will likely need to be reduced below a quarter of primary energy supply by 2100, and the allowable consumption rate drops even further if negative emissions technologies remain technologically of economically unfeasible at global scale”, said Dr. Brian Walsh from International Institute for Applied Systems Analysis, Austria, now a World Bank consultant. Researchers find that, barring unforeseen and transformative Technological advancement, anthropogenic emissions need to peak within the next ten years in order to maintain realistic pathways to meeting the COP21 emissions and warming targets. In this sense, according to the study, fossil fuel consumption would likely need to be reduced to less than 25% of the global energy supply by 2100, compared to 95% today. At the same time, land use change, such as deforestation, must be decreased. This would lead to a 42% decrease in cumulative emissions by the end of the century compared to a business as usual scenario. “This study gives a broad accounting of the carbon dioxide in our atmosphere, where it comes from and where it goes. We take into account not just emissions from fossil fuels, but also agriculture, land use, food production, bioenergy, and carbon uptake by natural ecosystems”, said Michael Obersteiner. The study compares four different scenarios for future energy development, with a range of mixtures of renewable and fossil energy. In a “high-renewable” scenario where wind, solar, and bioenergy increase by around 5% a year, net emissions could peak by 2022, the study shows. Yet without substantial negative emissions technologies, that pathway would still lead to a global average temperature rise of 2.5°C, missing the Paris Agreement target. Walsh notes that the high-renewable energy scenario is ambitious, but not impossible — global production of renewable energy grew 2.6% between 2013 and 2014, according to the IEA. In contrast, the study finds that continued reliance on fossil fuels (with growth rates of renewables between 2% and 3% per year), would cause carbon emissions to peak only at the end of the century, causing an estimated 3.5°C global temperature rise by 2100. “Our results show thus that the severe consequences of global warming on ecosystems and society can only be avoided by achieving the goal of strictly carbon-neutral societies as soon as possible.” said Prof. Josep Penuelas from CREAF-CSIC Barcelona. Journal Reference: Walsh, B., Ciais, P., Janssens, I.A., Peñuelas, J., Riahi, K., Rydzak, F., van Vuuren, D., Obersteiner, M. 2017. Pathways for balancing CO2 emissions and sinks. Nature Communications. This entry was posted in Outreach on April 24, 2017 by Rosa Casanovas.